Meris Stansbury, Associate Editor writes, "In today’s news, in the middle of a push for STEM is a growing movement to expose children to computer science education and skills, also known as computer programming or coding". According to Code.org statistics, computer science is the highest-paid college degree, and jobs in computer programming are growing at two times the national average–but despite that, fewer than 2.4 percent of college students graduate with a degree in computer science. After-School Programming is an offshoot of Codecademy. CodeHS offers instructional materials and tutors to help people learn about computer science. Google offers computer science and coding competitions and summer programs. Scratch, developed at MIT, is a free program designed to help children learn coding by programming their own stories, games, and animations. Hopscotch is an iPad app “inspired by” Scratch. Source: eSchool News and CodeOrg's Channel (YouTube). Attend this interactive webinar below. Reaching more learners fast is possible with virtual training programmes, but many trainers hesitate to move online. How do you keep that personal touch when no one shares the same room? 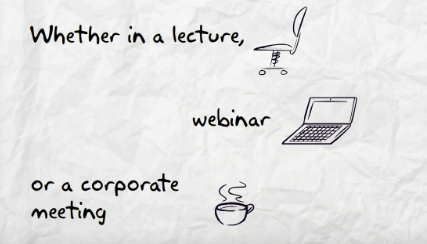 Join virtual classroom veteran Roger Courville as he shares tips, tactics and truths for making live, online training a powerful part of your learning portfolio. Register anyway and we’ll send you the recording. Keeping your audience focused on your presentation with a New Presentation Aid For PowerPoint. MagPointer is an innovative software that makes presentations more effective and interactive and it is ideal for online presentations, virtual classrooms and webinars as well as for face-to-face presentations and lectures. With the MagPointer PowerPoint add-on you can enlarge, focus, zoom or highlight specific elements or areas of your slides, on-the-fly and without any preparations in advance. The add-on is most suitable for content-rich presentations that include a relatively large amount of text, tables, graphs, schematics or illustrations, such as lessons, training sessions and corporate meetings. In many cases, MagPointer will relieve you altogether from the need to prepare slideshow animation in advance, saving you precious time and making your presentations more interactive. MagPointer is an add-on for Microsoft PowerPoint that makes presentations easier to follow and more effective. The add-on is most suitable for content-rich presentations that include a relatively large amount of text, tables, graphs, schematics or illustrations, such as lessons, training sessions and corporate meetings. It is extremely useful for webinars, e-learning classes and online business meetings yet useful also for face-to-face presentations. Automatically launched once a PowerPoint slideshow begins, MagPointer’s patent-pending algorithms detect objects within PowerPoint slides and allows the presenter to interact with those objects in real time. The presenter can highlight text objects or table components (e.g. a specific cell, row or column), enlarge specific objects while dimming the rest of the slide, create frames or zoom on specific slide areas. In many cases, MagPointer's ease-of-use, rich functionality and flexibility will free you altogether from the need to prepare slideshow animation in advance, saving you precious time. The software also automatically creates a navigation path between the objects that enables the presenter to move freely back and forth between slides or slide elements without disrupting the flow of the slideshow. MagPointer is currently available for Microsoft PowerPoint running on Microsoft Windows OS. Source: MagPointer and MagPointer's Channel (YouTube). "Meghan Enga teaches 6th and 7th grade at Banting Middle School in Vancouver, BC. She uses a 3D learning platform called Quest Atlantis (QA)", writes Laura Minnigerode. In QA, students undertake virtual quests that feel a lot like playing a video game, but with a story line that inspires social awareness. In the game, they can take on the role of a scientist, doctor, or mathematician. From those characters, they can gather information and interact with other players. A new draft report from the U.S. Department of Education Office of Technology, entitled "Promoting Grit, Perseverance, and Tenacity: Critical Factors for Success in the 21st Century", discusses the role of technology as a tool to support the “non-cognitive factors, attributes, dispositions, social skills, attitudes, and intrapersonal resources” that support student success. The report is part of a move to recognize and define a set of essential skills that will help students realize their full potential. These attributes can be described in many ways. 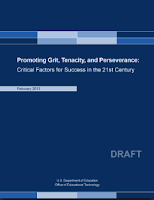 For clarity, the report defines grit as “perseverance to accomplish long-term or higher-order goals in the face of challenges and setbacks, engaging the student’s psychological resources, such as academic mindsets, and having the ability to look beyond current situations to future goals, strategies, and tactics.” Here you’ll find a few examples of the use of digital learning environments, online resources, and tools for teachers drawn from this line of research. These examples offer a glimpse into the potential of technology to support grit, tenacity, and perseverance. MathType 6.9 for Windows: Office 2013 support and more! MathType™ 6.9 is fully compatible with Office 2013 and Office 365 installed on Windows 7 and 8 computers. MathType Ribbon Tab in Word and PowerPoint: MathType takes full advantage of Office's Ribbon User Interface making it easier than ever to do equation operations in documents and presentations. Equation numbering and browse features work with all Word equation types. Equations in Outlook: MathType works with Outlook and allows you to include mathematical notation in email. The recipient of your email does not have to use either Outlook or MathType in order to see your equations. MathPage for Word 2013, 2010, and 2007: Our MathPage™ technology now converts Microsoft Word documents into web pages, properly handling mathematical symbols, and displaying properly for people with print disabilities. Handwritten equations: Enter equations as easily as you would write math with paper and pencil! This feature uses the built-in handwriting recognition in Windows 7 and later. Format Equations: MathType adds its own tab in Word that contains useful commands. One of these, Format Equations, lets you change the font and style of all equations in a document. You can purchase MathType 6.9 directly from our secure online store right now! Read about all of the new MathType 6.9 features. A Steve Wheeler slidedeck created below as an accompaniment to an invited webinar he presented for ELESIG - hosted by the University of Nottingham on 9 May, 2013. Steve Wheeler writes, "I pointed out recently that many of the older theories of pedagogy were formulated in a pre-digital age". I blogged about some of the new theories that seem appropriate as explanatory frameworks for learning in a digital age. These included heutagogy, which describes a self-determined approach to learning, a new model of peer-peer learning known as paragogy, a post modernist 'rhizomatic' learning explanation, distributed learning and connectivist theory, and also a short essay on the digital natives/immigrants discourse. I questioned whether the old models are anachronistic. Is it now time for these new theories to replace the old ones? 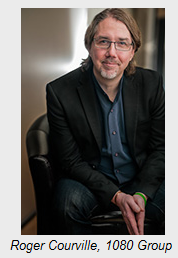 Steve Wheeler's research interests include e-learning, student support, psychological issues in distance education, creativity, the social web (Web 2.0) and learning technology. Take a closer look at these 50 Ideas for iPads in the Classroom by Michelle Vance, Technology Director, Ontario Local Schools. First lesson should focus on teaching the basics about using the iPad. Create classroom procedures for handling and choosing an iPad from a cart. Invite another classroom to your room and teach them how to use the iPad or a specific app. Use the Notes App to type vocabulary words. Teach students to tap each word and select “define” to read the definition. Read a story together. Choose a free eBook. Use the Maps App to find directions and specific locations. Use the iPad as an incentive for good behavior. Download free books to share in small groups. Practice test questions for upcoming exams. Use the Facetime App to interact with another classroom. Use the PhotoBooth App to take pictures of each other. Create a wall display of the pictures. Create a QR code to place beside each photo. Videotape a classroom science experiment. Work with a partner and use Safari to collect facts about a famous American, develop a presentation (Keynotes), and share it with classmates using an Apple TV and classroom projector. Download free educational apps that meet curriculum standards. Specialized skill instruction – especially in math. Students can work at their own pace. Use the Maps App to figure distances from one city or state to another. Figure distance and a route for an upcoming field trip. Use the Notes App to practice typing spelling words, adjectives, nouns, etc. First graders love to type using this app! Use the Calendar App to show how many days in a month, add holidays, and make a classroom calendar. Use the Notes App to learn about the keyboard. Do a keyboard “hidden” key activity. Do small group lessons on bullying. Download several bullying apps or create your own podcasts. Allow students to listen to books read aloud to them. Students create documents in Pages and save to a WebDAV server drive. Use Keynotes to create a “Careers” presentation. Use FaceTime to conduct a live interview with specialist in various careers. Work with a partner to locate recipes and nutrition information. 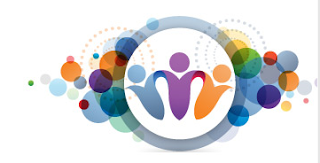 Use data to create a five minute classroom presentation. Download free books and share with small groups during reading group time. Play group games that would enhance instruction and student learning. Video tape performance of specific skills in P.E. class. Add a ruler and large calculator app to all 30 iPads. Use weather apps to locate weather information and record data in Numbers or an Excel spreadsheet. Video tape short plays. Upload videos to class website. Music Class: Video tape a student performance. View the taping with the student and analyze/grade the performance. Band Class: Use the Camera App to snap photos of a band football field formation. Take pictures from bleachers. Video tape performance….display video on a large screen for student input. Use Pages to create classroom posters for Open House, classroom door, or advertise an upcoming school event. Use the Camera App to take daily photos of growing plants. Plant seeds in paper cups and record daily growth by taking a photo each day. Place each photo on a bulletin board. Use the Camera App to take a photo of each student on the first day of school. Use it again at the end of the year to compare pictures. Create a folder on the teacher’s iPad with several website links that post “free” daily apps. Organize the iPad with specific subject area folders containing all the apps pertaining to a subject. Create a folder for math, history, health, literature, and more! Video tape classroom events and post on school or classroom website. Use the Camera App to snap photos of classroom activities and post on website. Use the Facetime App to share a classroom event with a student who is unable to attend an event. Take several iPads when going on a class field trip. Use the Camera App to snap photos during the trip. Use the Map App to show the route you will be traveling. Use the Video App to record an event. Download apps before the trip that pertain to what you will be exploring on the trip. Example: A leaf or animal app to quickly identify leaves and animals you see on the trip. Add a QR Reader app to read QR codes. Create your own QR classroom codes and have students use iPads to read the codes. Stock up on headsets and cleaning cloths. Teach children how to properly turn off the iPad. Teach students how to close all apps and websites. Be sure they double click the Home button to view and close all open apps. Teach students how to save a Pages document as a Word document and vice versa. This allows students to work on documents on an Apple or PC platform. Michelle Vance is the District Technology Director of Ontario Local Schools in Ontario, Ohio and the 1994 Tech & Learning State Winner - Ohio, Teacher of the Year. Is the Unit of Learning Still a Lesson? Can the Lesson Survive Social and Mobile?